Here We Are Sharing MADE EASY Delhi Classroom Handwritten Notes Of Electronic & communication Engg (ECE) Branch Paper. 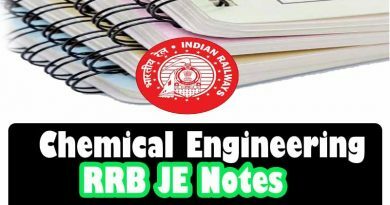 These MADE EASY Handwritten notes GATE ECE are full of Quick Tips & Tricks Which Are Very Very Important For Your other Exams Also Like GATE, ENGINEERING SERVICES, SSC JE, RRB JE, SSE, PSUs Etc. You Can Download These MADE EASY Handwritten notes GATE ECE premium Study Material By Paying some amount of Cost. These MADE EASY Handwritten notes GATE ECE Electronic & communication Engg will help you to understand all key concepts. I have done the payment for Engineering mathematics 1 . While opening the file, it shows error . I mean are made easy notes or from some other coaching. Are these updated made easy notes for 2019 GATE ECE? For IES exam preliminary paper 1 and paper 2 syallbus material want it am 3ECE branch. PlZzz tell this material is a whole material of ECE or Not??? Just now made the payment for Data structure material paid 45 but no download link has opened please send me the download link to my email address.payment ID You just paid INR. 45.00 to guarantee towards Data Structure (Payment ID: MOJO8416000D32734472) via http://www.instamojo.com. You are welcome dear student..
We are taking this little amount of cost for website and server maintenance which we have to give to server provider..
Digital electronics two times is there in list.whats that?? I successfully made the payment and thereafter didn’t get any page to download the pdf. Tell me your payment id and Paid for subject.After verification we will send u attachment file to your E-mail ID. Today I paid for Engineering mathematics part -1 its downloaded but it couldn’t opening .. could you pls check and send attachment again to my email id … you can check my transaction details. You just paid INR. 40.00 to guarantee towards Engineering Mathematics (Part (Payment ID: MOJO8201000W14831741) via http://www.instamojo.com. Pls send a copy to my e-mail id. Pls I need to complete some topics ..no one responding..
we have sent u an attachment file for Engineering mathematics part -1 , check your Email ID..